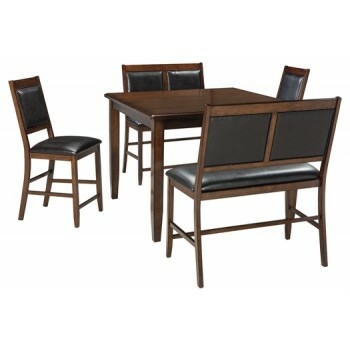 A second helping of bench seating makes this dining room counter table set that much more appetizing. Ultra-chic and sleek profile feels fresh and contemporary. Front-to-back upholstered detailing brings added flair to the flared seat styling.